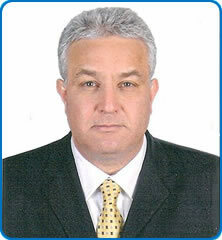 Mr Sherif Abdel-Fattah completed his MD thesis in Glasgow in 1994, undertook general Obstetrics & Gynaecology training in Yorkshire, then fetal medicine training in Bristol. He was Consultant at St Michael’s hospital in Bristol from 2002 before moving to Southmead Hospital in April 2008. Mr Abdel-Fattah leads the UK training for overseas non-EU doctors in his role as the MTI (Medical Training Initiative) Officer for the Royal College of Obstetricians & Gynaecologists (RCOG). He also holds several national positions at the RCOG as he is member of the Global Health Unit, member of the Specialist Training committee, former member of the Part 2 MRCOG committee and of the DRCOG committee. He is Scientific Editor of the British Journal of Obstetrics & Gynaecology (BJOG).